Join the conversation and savor the benefits of this unique program. 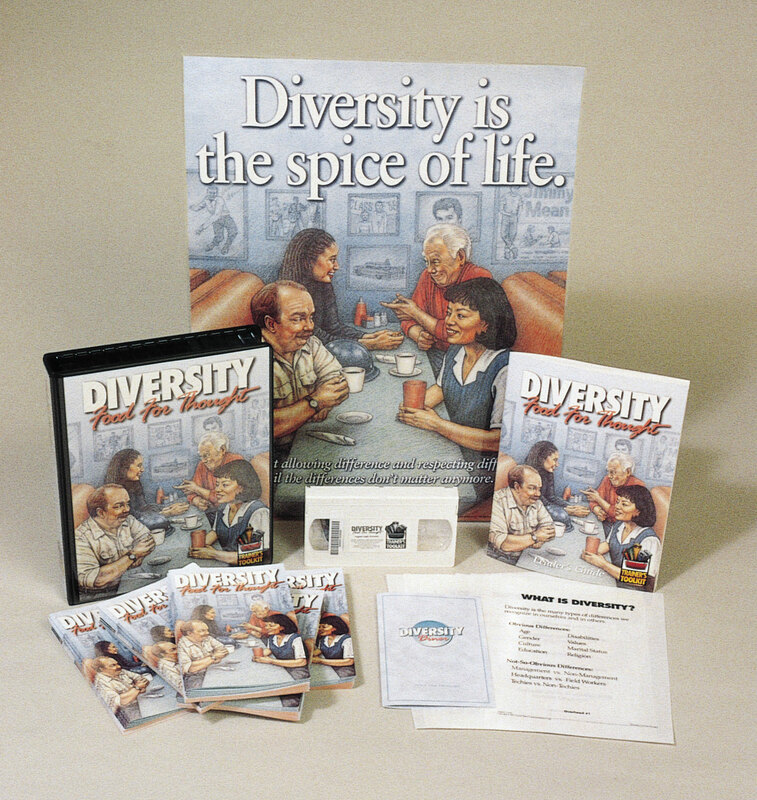 Diversity: Food for Thought is set in a diner where conversations between the owner and his customers emphasize the importance of understanding and accepting individual differences. Listen in to their exchanges and see how organizations can reduce discrimination, increase harmony and tap the power of diversity!